Thank you Arissa for tagging me! Yeah! Beauty Junkie! I might say I am a beauty junkie because I am pretty obsessed with beauty products. They never enough for me. Haha. I love makeup related post! Anyway, check out Arissa YouTube (click here) and blog (click here). Oh my, this is a pretty hard question! Aaa… Erm.. I love all of my makeup items but ok, probably foundations. I love trying out all kinds of foundations from type to brands. 2. Favorite High End / Drugstore Brand. Why so hard! Man.. I can’t choose but I gotta say I love Benefit Cosmetics for High End and I love Revlon for Drugstore. But beign a beauty junkie, I pretty much love many brands on certain product. 3. What is the product you would buy even it is expensive? Er.. Anything that is good and raved about especially when they have pretty design packaging. Blush, Lipsticks, Lipbalms. 4. What is the product that you would not buy even if its cheap. Not pretty packaging makeup. LOL. 5. How many makeup product do you have? Whaat? Is this even a question? Haha! I lost my count. 6. Did you purchase all of your makeup. Mostly yes, but some of them are given for review purposes and some of them are gift for birthday presents. 7. What is your favorite makeup season? Oh my! I love this question. I love love love Fall seasons makeup. I love burgundy,brown, dark colored makeup. To achieve flawless nice skin when applying foundation, make sure your skin is really really clean. Before to sleep, make sure all makeup are removed and prep your skin with moisturizer. 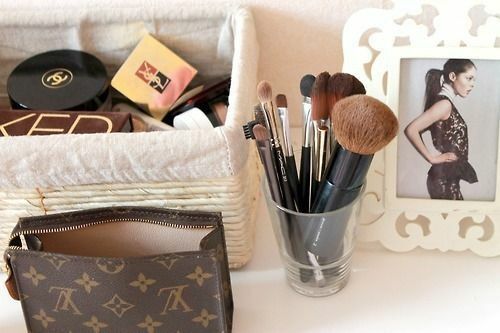 In the morning, you will get a nice prepared skin for makeup, oh yes, cleanse it again first ok! 9. Do you love wearing lip gloss. Actually I don’t really like lip gloss. But I would love to use it. 10. Why to the previous question? LOL! Because I felt uncomfortable with the texture of lip gloss. I tend to lick it and ending up having a stomach ace. 11. What is the most neglected makeup steps. I always forgot to wear lipstick. 12. What is your first makeup application? Face powder! But it’s a baby powder, not a compact colored powder. Started when I was in high school. 13. Do you wear makeup to school.? I am not allowed and afraid to break the rule. I just use baby power. 14. How often do you clean your makeup brushes? Supposedly one time per week right? Usually once a month I manage to do so. 15 How do you clean your makeup brushes. Sometimes I wash it using brush shampoo and sometimes when I am in the mood to do more I wash using olive oil and dishwash soap. 16. Do you wear makeup every single day? Nope, because usually I am at home, I don’t really go out everyday, I only wear makeup when I am going out. 17. If I could create one makeup item what would it be and why? Wow, interesting question! ;) I wanna create a cream foundation that suits all of my local skin tone shade. From Malay, Chinese and Indian skin tone shade. Its suits our humid weather and it can be easily applied! Because I am pretty disappointed with the shade offered in our drugstore foundation. Mostly its only fits fair skin tone color. 18. What is the most makeup items do you have? 19. What is the least makeup items that you own. Hm… Its actually lipstick, but I am planning to collect them in then future. "Hello everyone, My name is Sabrina and I am a beauty junkie"
*pic above taken from Pinterest. i can totally relate to the foundation shade in malaysia..kalu kat malaysia kan beli foundation dulu2, SA tu selalu bagi kaler yg cerah2..terbalik dgn kat sini, pernah tu dia pergi bg kaler yg paling gelap sekali..adoi..i am basically in the middle..
i will toatlly do this tag soon!! Hello guys, I have a giveaway on my blog!! Be sure to participate in it!! hm.. btul... bkn nk ckp apa.. most SA makeup xtau apa dia jual. main bagi je.. and shades are pretty limited here in Malaysia. I wish! One day it will be mine. haha! beauty junkie here too *waves* aish, i need to figure out how to make something out of my makeup obsession..
Hello ! Should i called myself a shopaholic vs beauty junkie here ! next year me going to korea, OMG , i still can't imagine! We all deserve every makeup we buy even if its to much. LOL! OMG... Seriously? That is heaven! There is a street where they all have these Korean beauty shop located there! And many said the price is waaay cheaper than what we have here! Rasa nak buat lah tag ni!! !